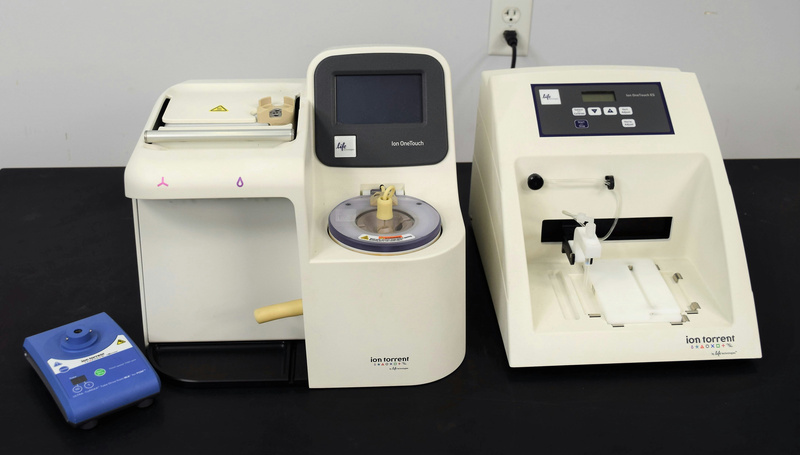 Ion Torrent OneTouch Genetic Sequencer w/ ES Enrichment Turrax Tube Drive PCR . New Life Scientific, Inc. The Ion Torrent OneTouch system could not be tested at the NLS facility, but it appears to be in good cosmetic condition. Unfortunately, there are (2) required power adapters that did not arrive with the equipment, and the manufacturer could not supply them for the One Touch. New Life Scientific technicians were unable to acquire the power adapters needed to power this system on. They noted that the invidual components are in good cosmetic condition and presumed functional; they include a ninety-day warranty, but the customer is responsible for supplying the consumables, special power adapter, and any application accessories or software that are not included. The manufacturer followed this model with the OneTouch-2 which is currently supported, but they have discontinued the OneTouch. This was untested by NLS Techs and appears to be in very good condition. Power adapter is not included.